Short sales in South Jersey are becoming more difficult to find every day. With the economy getting stronger the real estate market on the Jersey shore has slowly weaned out most of its distressed property over the past years since hitting an all-time bottom around 2009. Feel free to look through our website some of the areas foreclosures, bank owned homes, land, and homes for sale at the Jersey Shore. Contact us! Sign up to the right to recieve free daily email alerts as they hit the market. If you think that you may want to sell your home as a short sale let our team give you a private consultation to see if you qualify. 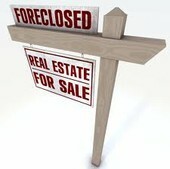 We have successfully completed many short sales in the South Jersey area. Even if you do not qualify to sell your home as a short sale we may be able to guide you in a different direction to get better financing and be able to keep your home.